Registration will close on 15 June 2017. The 'Provisional Programme' can be found here . 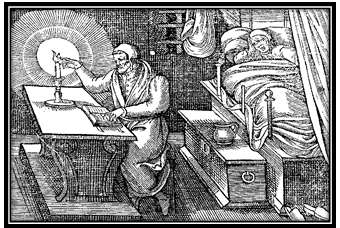 Devotions in early modern England, public or private, were central to the everyday lives of clergy and laity alike. Yet such practises were routinely transformed by men and women who did not just record but reconfigured their piety through writing. From accounts of fasts, feasts, and thanksgiving days; prayers and sacred songs; covenants and confessing of sins; narratives of conversion, baptism or burial; biblical graffiti; repetition of sermons; conferencing and conventicles. English citizens, individually and communally, and on either side of the confessional divide, had a regimen of acts that were to be performed and perfected during their lifetimes. This one day conference aims to investigate how print and manuscript cultures coalesced and collided in their re-presentation of post-Reformation devoutness. ‘Devotional Writing in Print and Manuscript’ is a major one day multi-disciplinary conference, hosted by the University of Warwick’s English Department in collaboration with the Centre for the Study of the Renaissance, The Humanities Research Centre and the Early Modern Forum. Contributions are invited from established scholars and postgraduate students alike. Publication of a selection of papers is envisioned. Themes for papers may include (but are not limited to): literary, visual. political, theological, historical, material, musical, polemical or any other treatments of the topics of devotional writing in print or manuscript in the context of reformation-era England. For our Official Conference Website click here. Conference Organisers: Prof Elizabeth Clarke; and Robert W. Daniel.